Lana Lontos is long time yoga and meditation teacher, Gestalt psychotherapy student, and entrepreneur. She is the creator and host of the Big Tree Mind Wellness Podcast and Vimeo series. She is passionate about mindfulness practice, creativity and exploring how we connect to ourselves and our work. Lana is actively involved in youth outreach and mentorships and has dedicated a decade to studying trauma, anxiety and addictions. 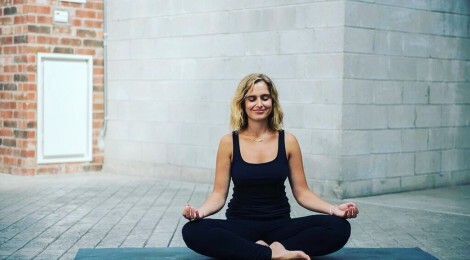 She believes wholeheartedly that awareness, yoga and meditation are tools which support the nervous system and contribute to clarity, focus and awakening. For more information on upcoming mindfulness and habit change workshops, international yoga and meditation retreats, or to book a private consultation click the button below! I am connecting with you because... Select... I am interested in taking one of your workshops! I have some questions about your practice... I am interested in one of your retreats! I would like to book 1-on-1 yoga sessions. Check out Big Tree Mind on Instagram!